Seriously, who can make better toppings for their pizza than the local pizza place – YOU! Usually the vegetable toppings, especially the vegetable toppings, are sadly undercooked or too sparse. Is their anything worse than crunchy uncooked veg on a pizza? Well, yes, the horrible crust that you get in most places. But other than that, no! 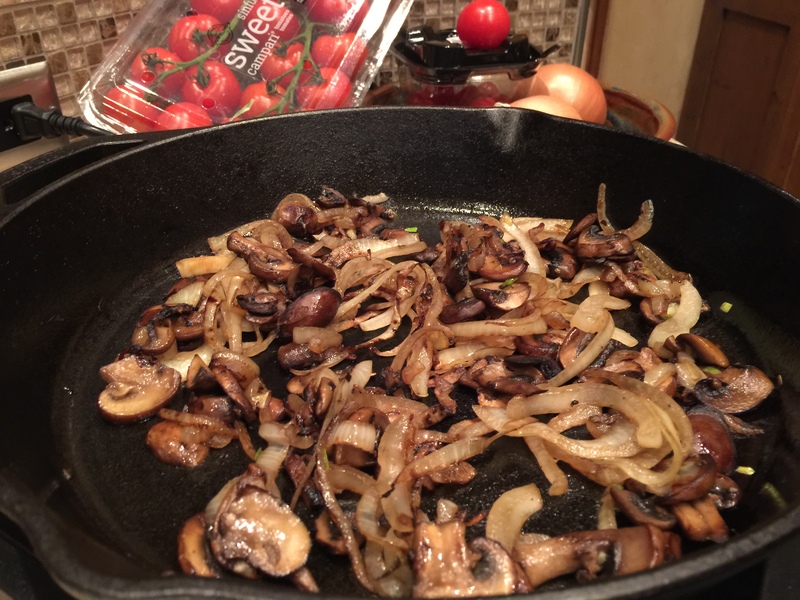 I always make my own sautéed mushrooms and caramalized onions if we are having pizza. Since we don’t have pizza too often (except when we are in Italy, yum! ), I want it to be as wonderful as possible. This entry was posted in Vegetables, Vegetarian and tagged mushrooms, Onions, Pizza. Bookmark the permalink.